We can offer a wide range of base station antennas ranging from the traditional omni-directional & directional types to more specific downfire, circular polarised & receive only models. We have a long tradition of working closely together with our customers on custom-made antenna solutions for specific projects. 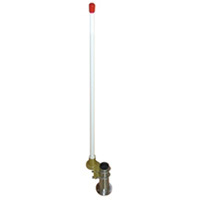 Click on Base Station Antennas, to view the Amphenol Procom range of Base Station antennas.